It is said that everything is fixed and decided before hand in this world. The law of Karma do not allow us to get more than what is destined for us because of our previous deeds (Karma). There is no error in the programming of Supreme Divine which has got the system to maintain all the records of deeds (karma) for every body and accordingly one’s fate is decided. Now this very concept many times misguide us by giving birth to a debate that if everything is pre decided , then why one should take an effort to change his destiny, Why one should follow the path of Karma Yoga, if verdict of fate cannot be altered as per same law of karma? To understand this I shall be discussing in this article about “Samskaras” which are basically seed of our karma and all our karma profiling is scripted in our chitta in the form of samkaras. But before that I would like to take an analogy very well explained by Swami Parthasarthy in his book ‘Vedanta Treatise’. Consider your life as railway track, in which wherever you wish to go you will have to use the tracks. You can offcourse choose different paths, make an extra effort on any of the tracks, but you will have to use only those tracks to reach the goals of your life. Now these tracks are made specifically for you and there are different tracks for different persons. These tracks are actually the result of your previous karma, which are fixed and you can not deviate from them. But you can still reach you goal or choose not to reach your goal by using or misusing these tracks. That completely depends on your efforts and further karma. 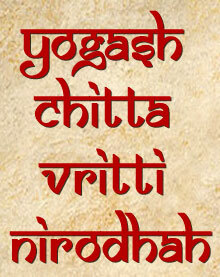 Samskaras are the impressions embedded in the subconscious mind (chitta). Just like during recording on a tape recorder, the moment we speak something, it gets recorded in the form of impression on the tape in real time. As and when we speak any thing we cannot avoid the recording of same on tape. Similarly whatever we do as a result of our daily work always gets recorded in our subconscious mind in the form of samskaras. Not only our actions, but also our thought waves (vritti) leave an impression on the chitta and are stored in the subconscious mind. These Samskaras arises again at the mind surface whenever similar situation is encountered by the person in life. The person is thus encouraged to act and exercise his choices as per his previous actions guided by his stored samskaras in his subconscious mind. Samskaras in this way decides our destiny. As although the thought waves are preserved in our subconscious mind with all its minutest details, but whenever there is a similar stimulus, same thought waves arises again thus making stronger and deeper grooves of samskaras on the chitta. And man is forced to act as per his habit of doing things in such a stimulus with those set of thought patterns. It will not be wrong to say that samskaras are nothing but scripted version of our own karmas and play a vital role for law of cause and effect to work. To improve the effect and thus our overall life, we need to improve this karma profiling scripted in the form of samskaras. 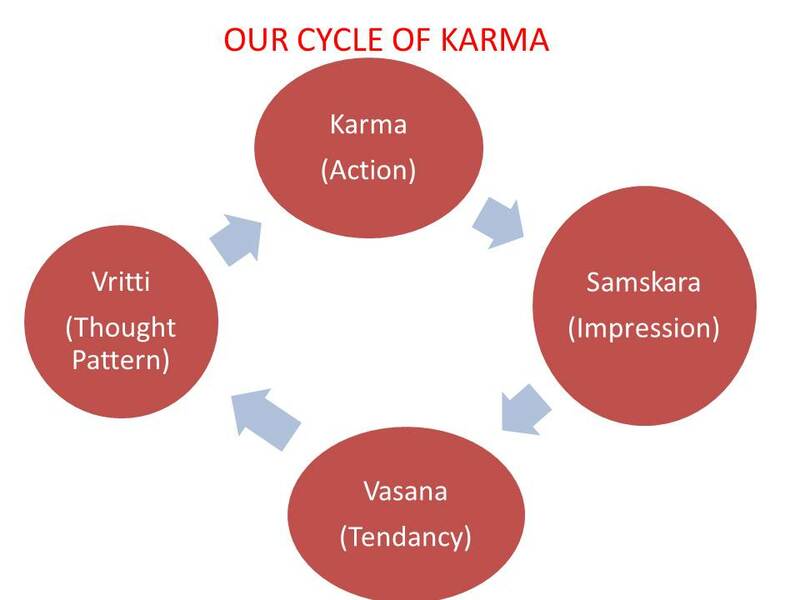 It is true that our past cannot be changed and hence all the samskaras stored previously will play their vital role and we will be forced to walk on a pre-decided path, But one can still fight to cast his future in the desired form by taking right actions, and by harnessing all his samskaras and thus working on his karma profiling. At any point of time we have negative as well as positive samskaras in our subconscious mind. Both tries to dominate each other and force us to work as per their nature. It is up to us to drive our thoughts, and actions and thus further samskaras by listening only to positive samskaras.